If you have ever made an uninformed, or emotional decision based on something an employee said or did, it will impact your business. Alternative HR assists companies with preventing and handling these stressful situations. Over the years, Alternative HR has become a trusted advisor to small businesses, not just in York, PA, but throughout surrounding Pennsylvania counties, as well as, Maryland. Through providing responsive, reliable, realistic and reasonable services, Alternative HR continues to build solid business relationships with loyal customers that trust us. All Kellie ever wanted to do was help people. She started out as a Sociology major, but decided after her freshman year she needed to find another way to help people or she wouldn’t be able to pay back her student loans! That was when she switched to Human Resources…and has studied and worked in that area ever since. In 2010, she found herself tired of the corporate world because she didn’t really feel like she was helping anyone there. As a result, she started Alternative HR that year. And we have been happily helping small businesses ever since. Kellie Boysen, a certified professional in Human Resources (PHR, SHRM-CP) has nearly 20 years of valuable Human Resource experience with organizations of many sizes, including three successful start-ups. She is the Owner of Alternative HR that specializes in partnering with small businesses to fulfill their HR responsibilities. Through her experiences, Kellie was able to learn from the success of some, and the mistakes of others. She earned her Bachelor’s Degree in Human Resource Management from Indiana University of Pennsylvania and her Master’s Degree in Business Administration with an HR concentration. She is a member of both the local and national chapters of the Society for Human Resource Management. Kellie has been honored by receiving the HR Professional of the Year from York SHRM for 2014. She also enjoys volunteering as a member of the Junior League of York, SCORE, and as a York County Economic Alliance Ambassador. After managing small- to medium-sized companies for 14 years, Craig found his passion changing to the human resource side of the business, where he has spent the last 16 years of his career. Craig holds a Bachelor of Arts degree from Messiah College. He has earned his SHRM-CP certifi­ca­tion from the Society of Human Resource Management and his PHR cert­ifi­cation from the Human Resource Cert­ifi­cation Inst­itute. 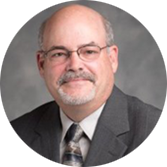 He is a member of both the local and national chapters of the Society for Human Resource Management and serves on the Board for the York Society for Human Resource Management. Helping employees achieve their potential and turning managers into leaders is where he has gained the most satisfaction in his career. Victoria is an HR professional who is committed and passionate about helping people. In 2016, she graduated from York College of Pennsylvania with a Bachelor’s Degree in Psychology and a minor in Human Resource Management. Currently, she has her aPHR certification and is working towards her Master of Science degree in Organizational Psychology. She is member of the York SHRM Chapter where she was honored to be nominated as a candidate for the Emerging HR Professional of the Year award in 2018. Victoria is excited to be a team member of Alternative HR where she can thrive and continue to pursue her passion of helping people in the field of Human Resources. 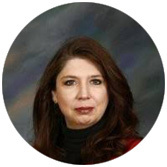 Victoria Krotzer, PHR, SHRM-CP, has over 28 years of experience in human resource management. She received her Professional Certification in Human Resources (PHR) in 2002 and her SHRM-CP Certification in 2015. 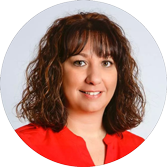 Vicki has served as the Human Resources Director and Assistant Vice President for several medium to large companies in York County with locations across nine states and Canada. Ms. Krotzer’s vast experience in human resources encompasses training, employee relations, unemployment, workers’ compensation, handbook and policy writing, FMLA, Payroll, recruiting, COBRA administration, benefits program design, negotiation and administration. She currently serves as the President of the Board of Directors for Family First Health, a federally qualified health center, in York, where she has served on the board in various positions over the past eleven years. She has also served on the York County Cooperative Job Fair Committee for the past 20 plus years and has been serving as the Chair for the past 6 years. Alternative HR assists organizations in preventing fines & lawsuits by ensuring compliance, providing management training, developing recruitment strategy, developing policies and procedures, working on human resource projects, and handling the day to day HR tasks. Alternative HR also provides HR audits, on site services and even helps companies develop their own Human Resource department.